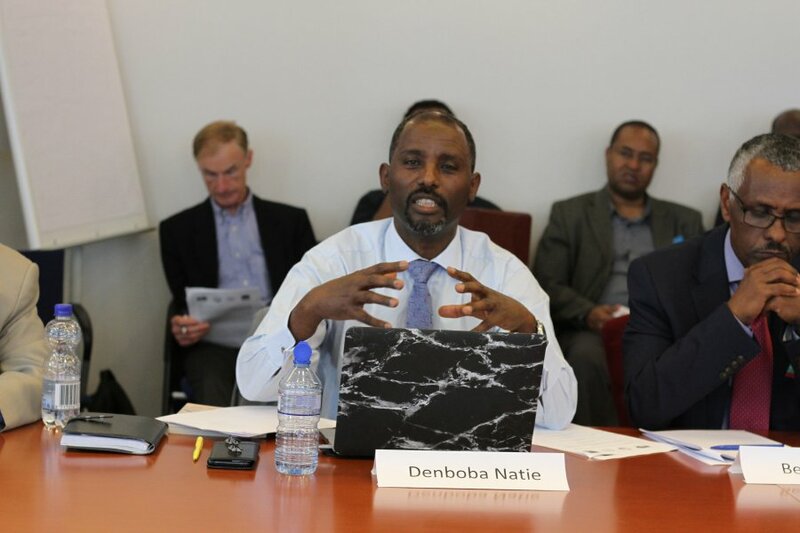 Ogaden News Agency (ONA) – UNPO & PAFD Conference Explores Ways Toward Politically-Inclusive Democracy in Ethiopia. UNPO & PAFD Conference Explores Ways Toward Politically-Inclusive Democracy in Ethiopia. On Wednesday 11 April 2018, the Unrepresented Nations and Peoples Organization (UNPO) and the Peoples’ Alliance for Freedom and Democracy (PAFD) held a conference in the European Parliament together with the host Members of the European Parliament (MEPs) Ms Julie Ward (Socialists & Democrats – S&D), Mr Jordi Solé (European Free Alliance/Greens) and Ms Ana Gome (S&Ds). The event entitled “2018 Ethiopia – Ways Toward Politically-Inclusive Democracy” aimed at bringing together activists representing the different ethnic and cultural peoples of Ethiopia to discuss the current challenges the country is facing. Introductory words were delivered by the three host MEPs. Ms Ward stressed in her opening remarks that the most important element of Ethiopia’s future is that it should be based on the respect for human rights, including civil society participation and an inclusive democracy. She also recalled the fact that the European Union (EU) is glad to give the room for opposition to speak and exchange views. Mr Solé described the positive change of relations between the Ethiopian and Eritrean governments by quoting United Nations (UN) Secretary-General Antonio Guterres who spoke of this development as “illustrative of a new wind of hope blowing across Africa”. Ms Gomes compared Ethiopia to the EU in terms of the extraordinary linguistic, cultural and religious diversity of both places and describes this variety as a great asset for building a truly democratic society. In the first panel with the title “Assessment of the Current Situation in Ethiopia – The Historical Injustices and new Development” five speakers shared their thoughts on the recent election of Ethiopian incumbent Prime Minister Abiy Ahmed and other recent developments. Representative of the Tatek Movement for Freedom, Democracy and Unity of Ethiopia Mr Yosias Tadesse Negash drew attention to the fact that a fundamental change is needed in Ethiopia rather than mere reformism or even a regression in terms of human rights and civil liberties. This fundamental change has to be accompanied by the creation of a fully inclusive national convention. In the same panel, Amnesty International human rights researcher Mr Fisseha Tekle remarked that in the 100 days that Prime Minister Abiy Ahmed has been in office opposition leaders and political prisoners have been released, however, Ethiopia is still facing profound structural challenges. Representative of the Shekacho People’s Movement for Democracy and Social Justice Dr Achame Degebusho Shana urged the Ethiopian community to not classify any member of the society as first or second-class citizen which is detrimental to building an inclusive society and participatory democracy. He furthermore deplored the land-grabbing from which minorities suffer due to the authorities’ policies. Chairman of the All Ahmara People’s Organization’s Central Council Mr Teferi Chernet shed light on the suffering of the Amhara people and how they were forced to conceal their identity over the years. Finally, head of the EU office of Front Line Defenders Ms Emma Achilli reminded the audience of the historically difficult work environment for human rights defenders in Ethiopia. She added that the newly-elected Prime Minister represents a glimmer of hope, but that at the same time, existing enforcement mechanisms need to be dismantled and the existing laws rewritten in order for human rights activists to work safely and freely. During the second panel with the thematic focus of “Strengthening the Political Opposition for Greater Representation and Democracy”, six speakers from diverse backgrounds shared their opinions and analyses with the plenum. The first speaker, Secretary General of the Ethiopian Political Organizations London’s Coordinating Committee (also representative of the Sidama National Liberation Front and the PAFD) Mr Denboba Kiya Natie stressed the importance of agreeing on an all-inclusive transitional arrangement which would treat all Ethiopians as equal stakeholders with the values of trust, fraternity and tolerance at the forefront. Representative of the Gambella Nilotes United Movement for the Netherlands and the EU area Mr Omot Obang Ogoni condemned the crimes committed against the Gambella Nilotes in the country’s southwest and highlighted the importance of unity among the people of southwest Ethiopia. Representative of the Ogaden People’s Rights Organisation and PAFD Ms Juweria Bixi Ali welcomed the removal of the Ogaden National Liberation Front (ONLF) and the Oromo Liberation Front (OLF) from the official terrorist list of the Ethiopian government. 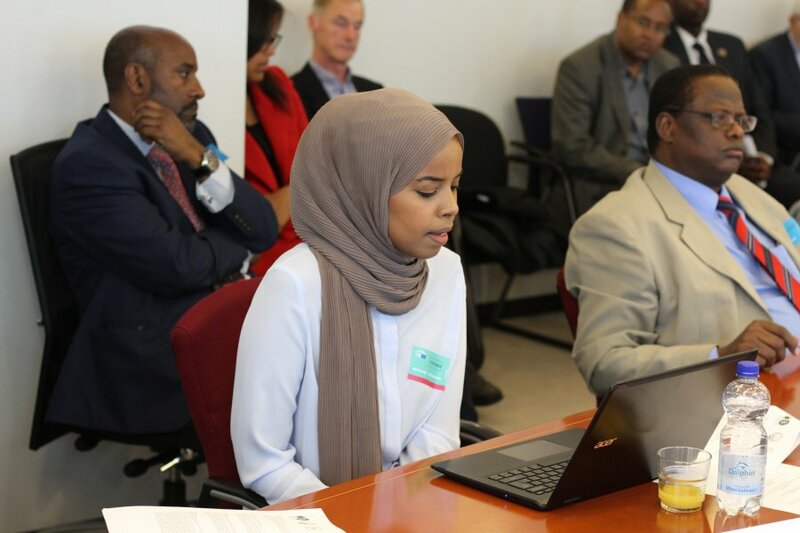 She also urged the participants to take note of the human rights violations still taking place in Jail Ogaden and for the perpetrators of these violations to be duly held accountable and condemned. Representative of the OLF and the PAFD Dr Bersisa Berri drew attention to contradictory statements made on behalf of the Ethiopian government which campaigns for change in the media but thereby diverts the true essence of change, which has to be ‘fundamental’. 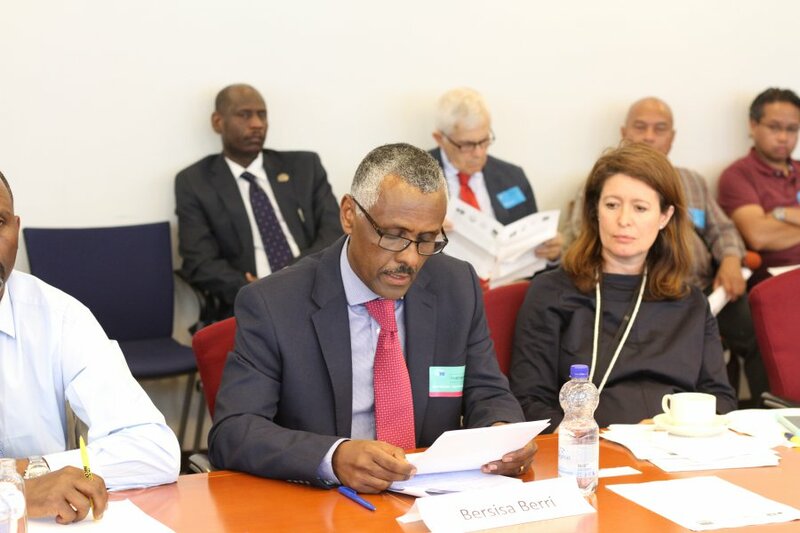 Chairman of the Oromo Parliamentarians Council Dr Getachew Jigi Demekssa addressed the EU and urged its representatives to go beyond expressing their concerns on paper. He further pleaded for round-table, politically-inclusive negotiations to be organised by the Ethiopian government. The panel’s last speaker, politician and former secretary-general of Ginbot 7 Mr Andargachew Tsege, who was recently released from prison by the Ethiopian government, expressed his regret about the lack of unity and mistrust among the opposition, which according to him is also one of the reasons why there is no opening of the political space at the moment. He furthermore cited the former Prime Minister of the United Kingdom, who had once said that “Democracy in Ethiopia is good by an African standards” and critically analysed that this statement implies a lower standard for democracy in Ethiopia. He rejected this underlying assumption and was hopeful for the future of democracy in Ethiopia. Both panel discussions were followed by a lively debate in which several questions were raised and new topics were addressed. Ms Ward stressed the importance of perceiving the EU positively as a critical friend and encouraged the Ethiopian minority and indigenous groups organisations to continue their steady work with the Union. Special attention was also given to Oromo women by Ms Addis Adem Deressa, who mentioned that they suffer severe human rights abuses in Eastern Oromia. Furthermore, the representative of the Eri-platform introduced the notions of civic nationalism and ethnic nationalism. The Ethiopian Embassy and the European External Action Service were also present, giving their own inputs and responding to questions raised by the panelists and the audience.